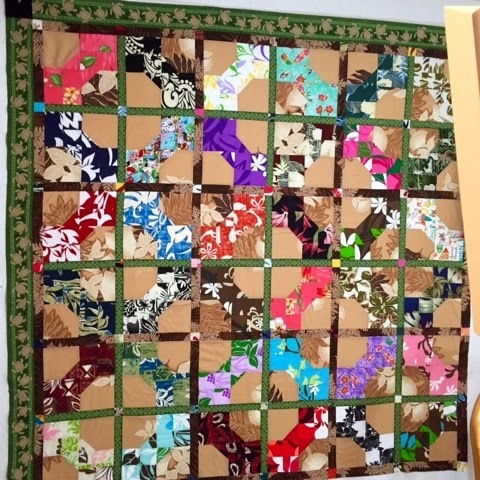 Last year I was asked if I could make a quilt for my niece who honeymooned in Hawaii. 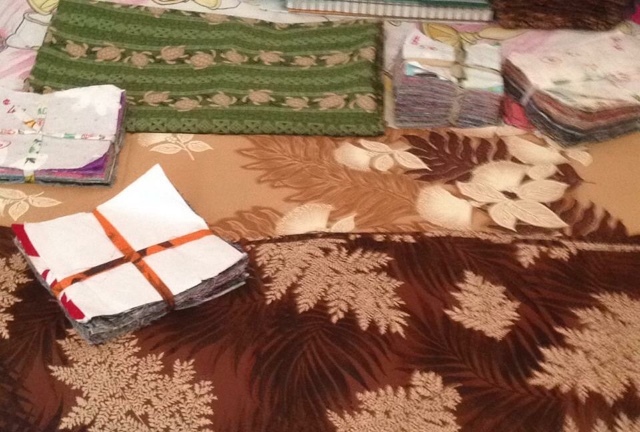 While there she shopped for beautiful and colorful fabrics and found some amazing varieties. 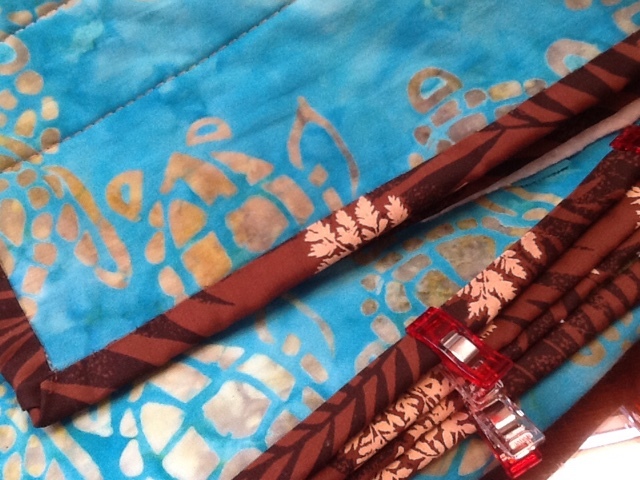 I received a box with 2 scarfs, several charm type packs and yardage of turtles. 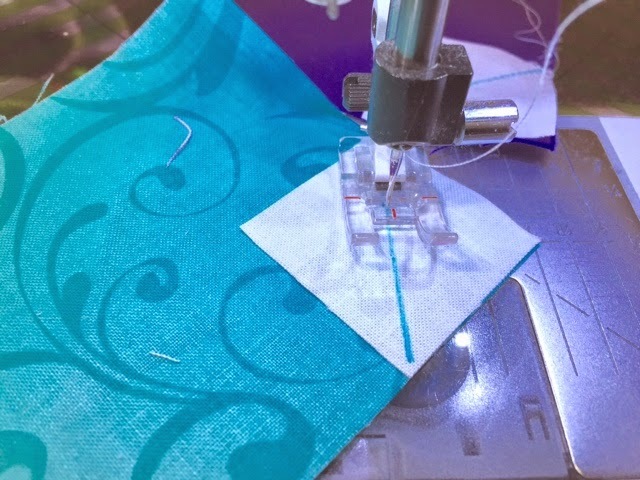 I had some time to think about what pattern to use that would show off the prints and be conducive to the amount of fabric received. 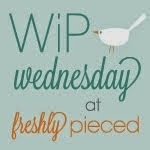 Krystle & Jeremy were aware I had a few projects ahead of them, they were more than willing to wait. Out came my favorite books and magazines for insperation plus paper and pen, I couldnt very well shop for a little more of any of the prints locally so I had to calculate to make sure I wouldnt run out. 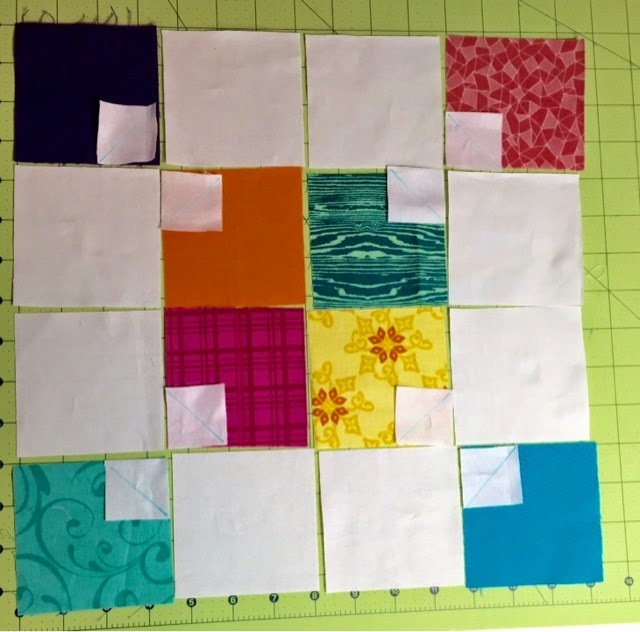 I liked the pattern between the green turtles and decided to split the fabric using just the pattern between the blocks and use the turtles around the outside. 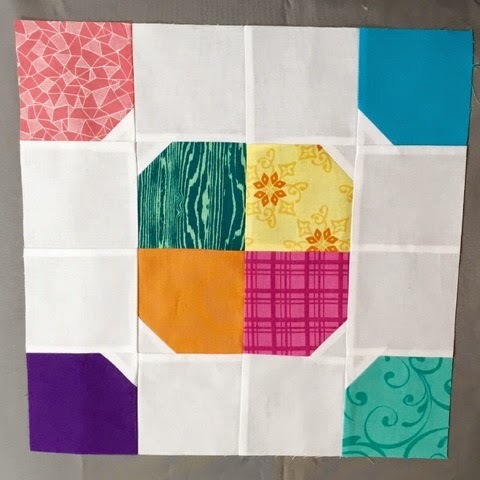 This was my sample using scrap cream to see if we all like the intended block, it was a YES and I started a few weeks later. 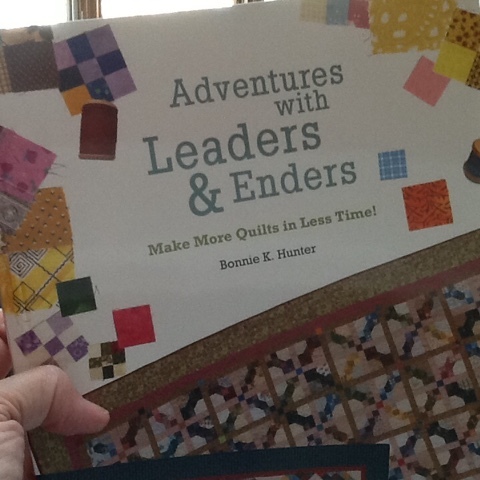 I used Bonnie Hunters book Adventures with Leaders & Enders for the pattern. 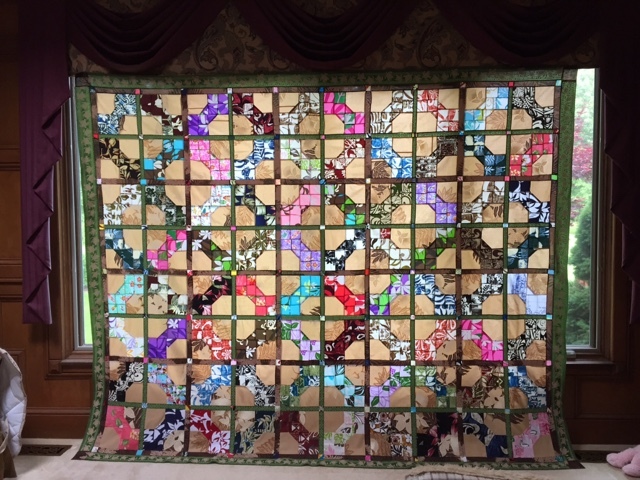 This picture shows the quilt top in my window just before it was layered and quilted. It looks like stained glass and really shows all the colors. Here is where I will confess that it was really close on the brown fabrics, I had a piece of light brown no bigger than 6x6" square and the dark brown had about a fat quarter left after I made the label. 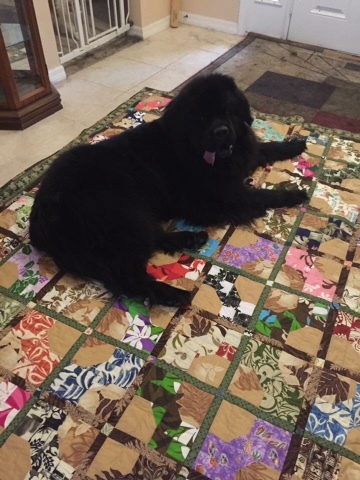 I decided the name of the quilt was "Meant to be" because I just made it with the fabrics, it was perfect - just like it was meant to be. 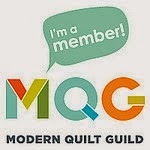 As always I believe all quilts should have a unique label. 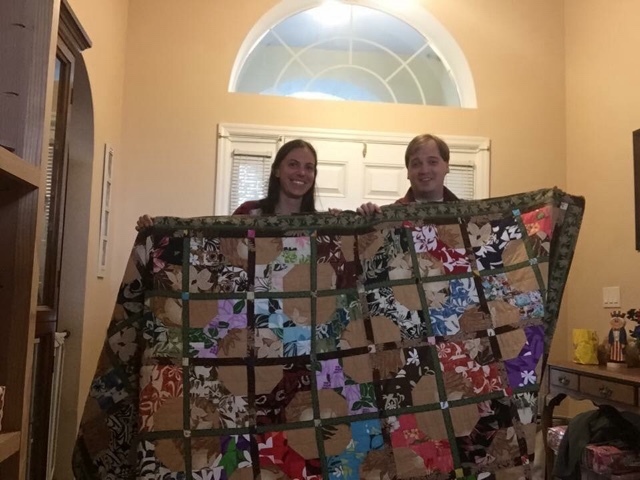 The label is a pocket with the Bride & Grooms names, date of the wedding, all the places they honeymooned and then I added the name of the quilt and my name as quilter/creater. 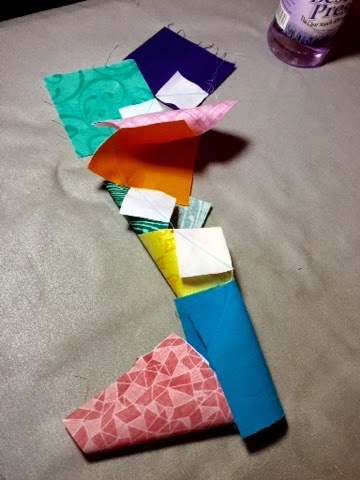 The backing is aqua batik turtles. 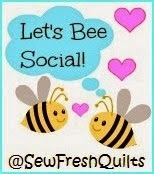 Here are photos sent to me by Krystle and Jeremy and the fur puppy Gene. 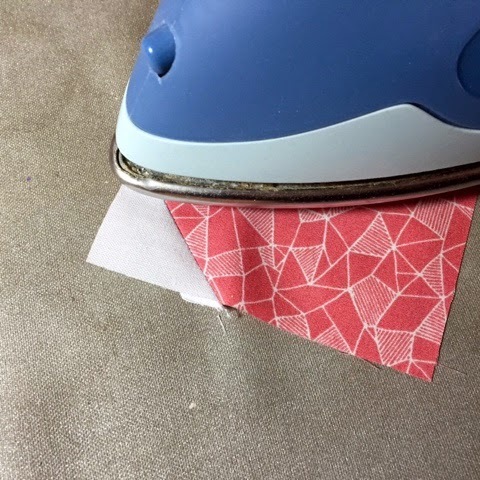 Add 8 - 1 1/2" square white kona solid with a removable line drawn diagonally to indicare the middle. I used clover water solvable marker. 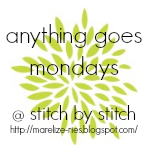 When stitching I like to be on the side of the line closest to the corner to make sure the point doesn't get lost. The first one is black and white with white and black. 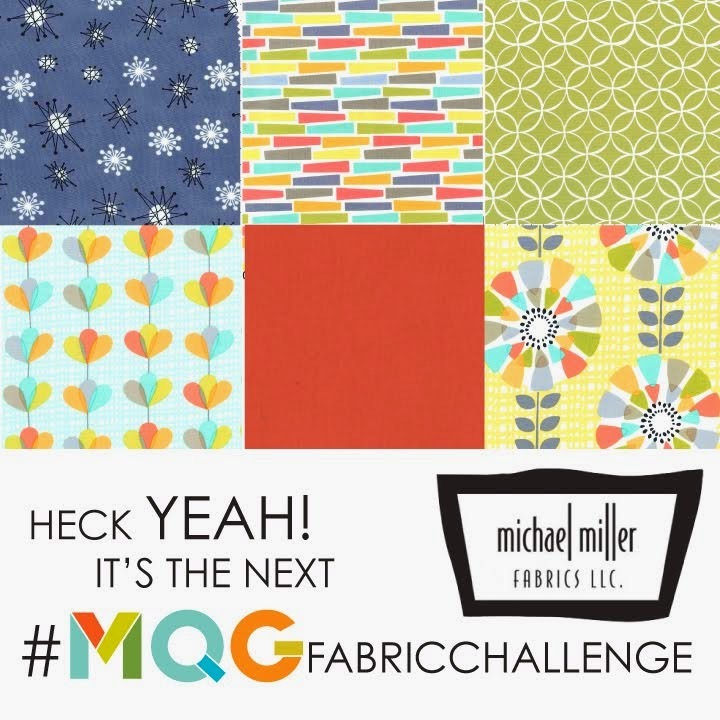 In the middle is two solids with white and lastly is a bow tie where the corner colors are four blocks of the same shade to make up the bow with matching pink triangles added to the cream print. All look different once grouped in fours. 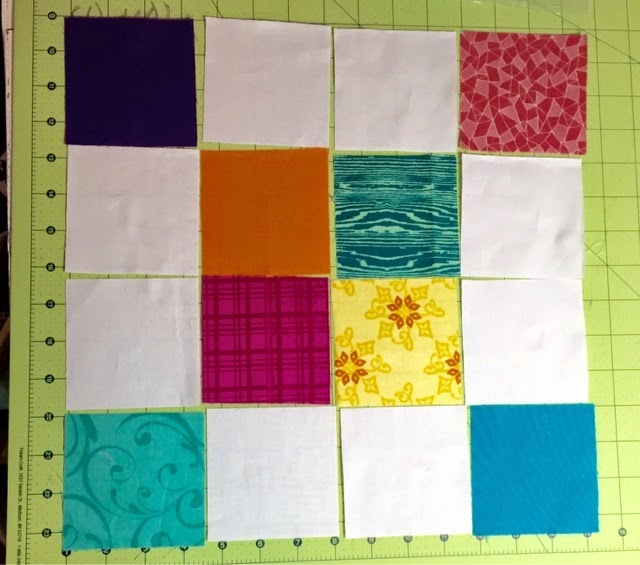 Depending on the fabric choice they look completely different, the last one has added frames with corner stones, doesn't the block look "fancy"? 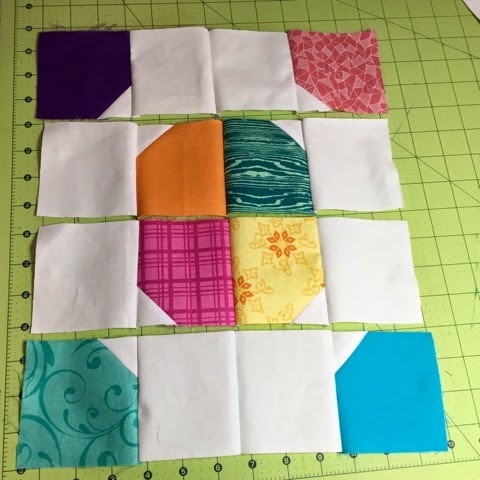 Here is a WIP of my nieces quilt - here each bow is the same color of material only instead of doing a 3 1/2" as above each square I did is 4- 2 1/2" squares for each corner to make that corner 4 1/2" square. 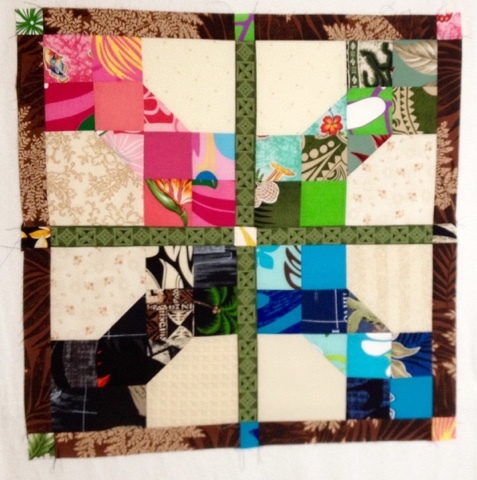 These blocks are 20" with framing and It is a Bonnie Hunter pattern. 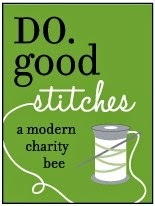 Liking the bow tie, what about you?